This 4-storey, 15-unit condo building is on Victoria Rd, just up the hill from the Firehouse Grill downtown. Few units in this building have been on the market in recent years, and the units vary in size/value, so I won't discuss values for this property. 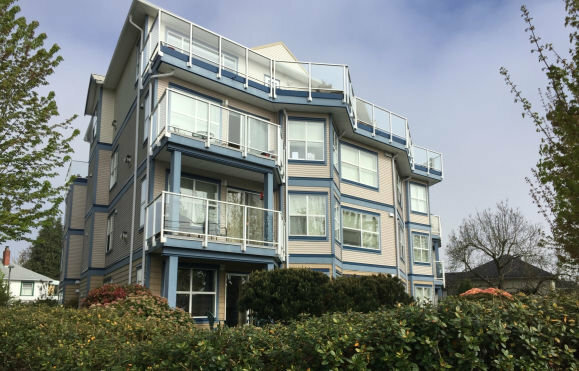 The spectacular penthouse with its panoramic harbour and city views was listed in the spring of 2017 for just under $1M - a first for a condo in Nanaimo. Strata costs vary according to unit entitlement.